The Central Bank of Nigeria (CBN) has allayed the fears of Nigerians and the international community over the inability of the bank to hold the Monetary Policy Committee (MPC) meeting earlier scheduled for today and tomorrow. The development arising from the non-confirmation of about seven MPC-member nominees by the Nigerian Senate, would not allow the meeting made up of 12 participants to form a quorum. 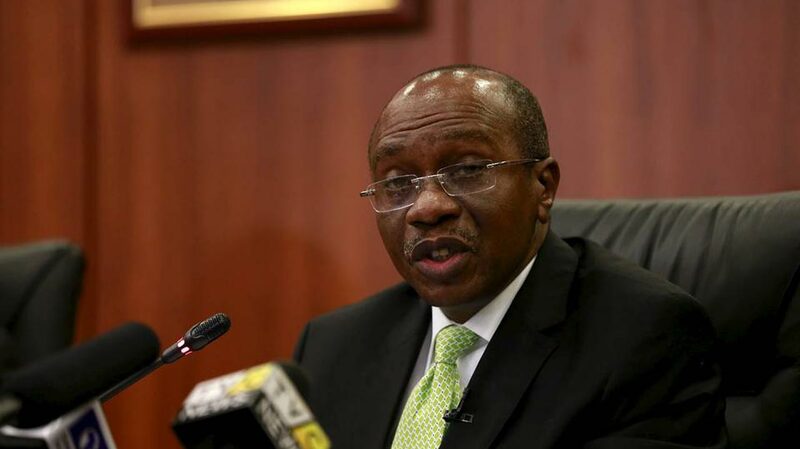 CBN Governor, Godwin Emefiele, in a memo affirmed that the MPC meeting would not be holding as scheduled, as a result of the bank’s inability to form a quorum as stipulated in the CBN Act 2007. The second schedule of the CBN Act (Section 12(5) and 54, stipulates that the MPC shall meet at least four times in a year and that the quorum shall be six members, two of whom shall be the Governor and a Deputy Governor or two Deputy Governors. Notwithstanding the deferment of the meeting this January, the CBN Governor noted that key economic indicators continued to move in the right direction. Consequently, he said the CBN would continue to maintain the key monetary variables as decided in the last MPC meeting of November 2017, which held Monetary Policy Rate (MPR) at 14 per cent, CRR at 22.5 per cent, Liquidity Ratio at 30 per cent and the Asymmetric Corridor at +200 and -500 basis points around the MPR. Meanwhile, the strong investor confidence in Nigeria had attracted inflows of about $13 billion through the Investors’ and Exporters’ (I&E) window, opened by the CBN in 2017, which have boosted forex supply and helped to stabilize the exchange rate. “We have also seen Market Capitalization of our Stock Exchange improve by 22.3 per cent from N13.21 trillion on November 30, 2017 to N16.15 trillion as at 19 January 2018, while the All-Share Index (ASI) rose by 18.8 percent from 37,944.60 to 45,092.83 over the same period,” he said. He cited the recovery in oil prices and boost in domestic production, Nigeria’s exit from recession in 2017, decline in inflation rate to 15.37 per cent, and accretion to the country’s foreign exchange (forex) reserves, which now stands at $40.78 billion, as positive indicators, stressing that these underscored the fact that the Nigerian economy remained strong. Emefiele assured that a revised schedule of the meetings for the MPC would be communicated as soon as the bank meets the statutory requirements of membership and quorum for the MPC. He also assured that the Management of the CBN would continue to sustain the gains recorded in the economy as well as its vigilance and proactivity to ensure overall macro-economic stability throughout 2018. It will be recalled that the President, Muhammadu Buhari, last October nominated Mrs. Aisha Ahmad as Deputy Governor of the Central Bank of Nigeria. He also sought the confirmation of Adeola Festus Adenikinju, Aliyu Rafindadi Sanusi, Robert Chikwendu Asogwa, and Asheikh Maidugu as members of the CBN’s Monetary Policy Committee. However, none of the nominees has been confirmed by the Senate, thereby preventing the committee from forming a quorum.